Welcome, my dear children. I am Mother Earth—an Angel as old as time. Long ago, much longer than you can ever imagine, God created the Universe. My darlings, it is so much grander and lovelier than you could ever imagine from your vantage here on one small planet. When a new world is formed, God sends a very old, very wise Angel, like me, to be its special guardian. With my black unicorn, Solstice, by my side, I travel far and wide to watch over the woodland and sea creatures and to tend to the world’s endless gardens, deserts and oceans. I have seen it all—the seemingly endless era of volcanos and storms, the shaping of your continents and oceans, the rise and fall of the dinosaurs, the ebb and flow of the great sheets of ice across the land, and most recently, the awakening of the humans to their potential to join us Angels as true guardians of the planet.Every plant and animal species has a unique Angel guide—you people often call them fairies. And I’m the leader of this sweet army of Earthly Angels. My partner, Solstice, well, he talks with the sun and the moon, and most importantly the stars, seeking their ancient wisdom to guide our adventures. There is so much joy here in our Universe. Sometimes I shift into the shape of a tree or a flower to feel life flowing from the soil, and at other times I fly and sing as a bird with the wind beneath my wings and a song in my heart. And let me tell you about the delightful elves who help me to watch over you humans. When you quiet your mind, you’ll hear the elves’ song calling to your heart and imagination. Yet despite all our magical powers, we Angels can’t interfere or make folks be good and kind. We are simple caretakers and observers, and it is your planet to do with as you humans will. But we never lose faith that that one day you will learn to live in peace! I just adore telling you darlings about two of the most important stories of Earth—the coming of the baby Jesus and the first Santa Claus. Since the dawn of time and long before Jesus and Santa, people broke the loneliness of winter with a festival of cheer. By the light of my beloved moon, families and neighbors would gather to celebrate their survival during the shortest of days with candles, music and warm food. As the arrival of Jesus is another story of bringing light and hope to human hearts, his birthday was eventually celebrated during the time of the winter solstice. It all started two thousand years ago when the world lay in dark and danger with many wars and endless fighting—sadly a lot like today in many parts of Earth. 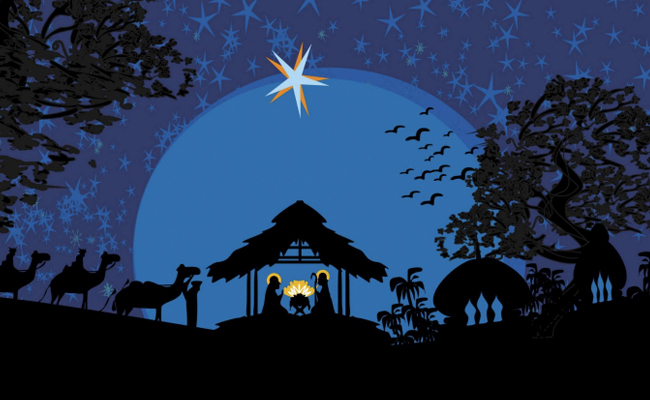 It was into these tumultuous times that God sent his son on a mission of peace. 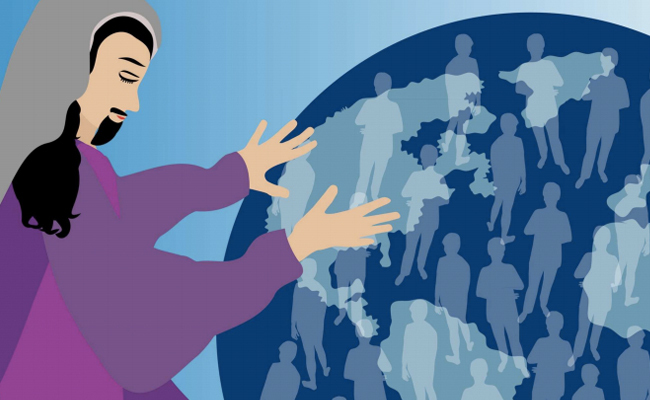 You see, God often sends very special beings, or prophets, to different parts of our planet to help people learn about true love and compassion. And Solstice and I stand by to help these prophets with their worldly quests. 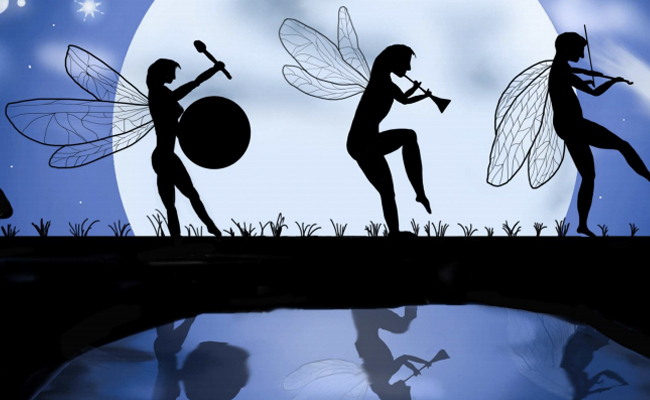 We rally the elves and the fairies to their service and ensure that they never lose hope as Earth can sometimes be lonely and there is much suffering. Our sweet Jesus was born on the outskirts of the town of Bethlehem, in a place that to this day is still the subject of great wars. Jesus came into the world in a manger to peasant parents, Mary and Joseph. Surrounded by the Angels on high and cradled in a barnyard of his beloved Earthly creatures, God sent his son—not to be born to a king—but to poor parents so that he could bring his message of love and equality for all people. Solstice asked the brightest star to shine clearly that night to guide the Magi, or wise leaders, from across the desert, whom the Angels had told of the arrival of a new spiritual leader. They traveled from faraway lands to bring gifts to the new baby. I was hidden as one of them, my hair drawn up in a scarf and Solstice disguised as a camel. We needed to see that all was well with the newborn child as we knew he would have a rough road ahead of him. And we wanted a peek at the beautiful little baby! Along the way we met an orphan boy carrying a drum, and we invited him to join our caravan. When we presented our presents, the little drummer boy said he had no gifts fit for a king. 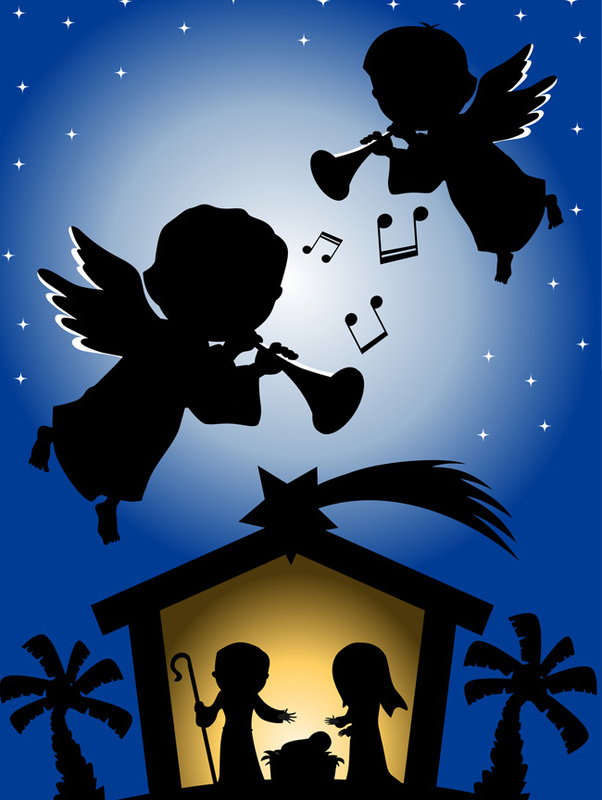 He asked Mary if he could play his drum for the baby, and when she said yes he performed an amazing song for Jesus as his drum beat to the rhythms of the Earth and in tune with the stars. The animals nearby stomped their feet in time with the music, and the tiny child opened his eyes with a knowing look that he had just received the best of gifts—that which is freely given from the heart. Jesus came to teach people that they are not separate from God. Now this isn’t an easy lesson to learn when you can’t see or touch God like you can your Mom or Dad, yet we are all connected by a great life force that will never die. And Jesus came to show that every person has value—whether boy or girl, rich or poor, no matter their skin color. This was quite a wild idea because when Jesus was born, and in many places still today, it was thought that only rich or powerful people like kings or priests or businessmen were worth anything. Jesus wanted people to remember that they never walk this Earth alone. God, Jesus and the Angels are always there working to help humans to find their way. If you let yourselves love God with all your heart, soul, mind and strength, you will find the often hidden path to loving yourself and all beings. One of Jesus’ most important teachings came to be known as the Golden Rule: Treat other people as you would want them to treat you, and love one another as you love yourself. The kind baby Jesus had to grow into a fierce defender of equality and justice as his messages were not always welcomed by people used to fighting for more riches and living at war. As he became a mighty leader he would remind people that what you do to the least of my brothers, you do to me—meaning that it is how you treat those people with no power and no strength that is the true test of your character. 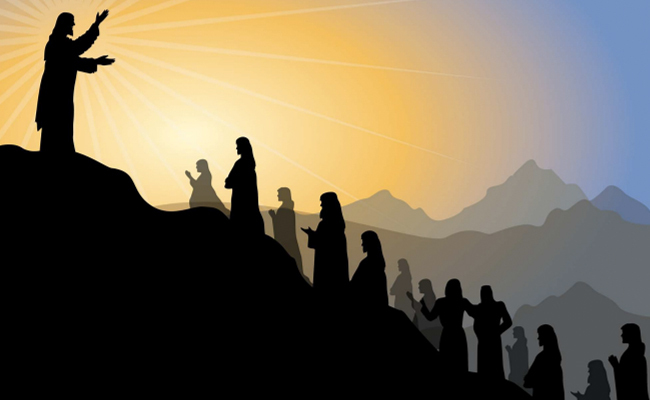 Jesus performed many miracles during his time on Earth. He turned water into wine, healed the sick, gave a blind man sight and turned a few loaves of bread into enough food for thousands. Yet Jesus’ greatest teaching was done simply as he passed by. As he passed by those in need, passed by the sick, passed by those who ignored him or even those who hated or feared him, he gave him them all his respect and kindness. That type of love, my sweethearts, is what true power is made of and what became the foundation for Jesus’ teachings all over the world. The Angels were so hopeful that our vigilance over Earth might be eased as humans would start to live in peace as Jesus’ message continued to spread throughout the world. Yet it just so happens that living with peace has always been a wee bit hard for humans. Despite the promise in Jesus’ teachings and the many good people who followed his ways, many dark times still befell the world. The Angels of Heaven and Earth were so sad. 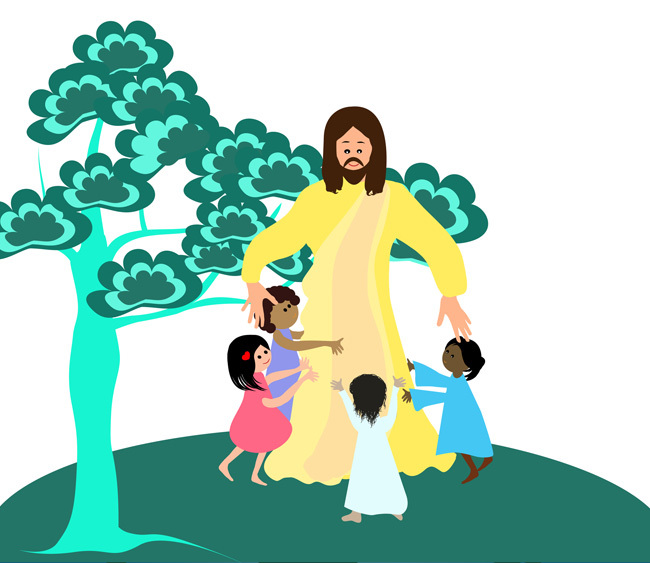 We searched for special souls who showed a desire to live according to Jesus’ message with a true kindness and caring for their fellow people and for nature. I sent my elves to scout far and wide looking for these brave mortals so that we might help them in their great deeds. Solstice roamed the skies at night looking for star shine and moonlight, which are known to sparkle on those noble of character. One of these fine people we found was a man named Saint Nicholas who lived in what is now called Turkey. 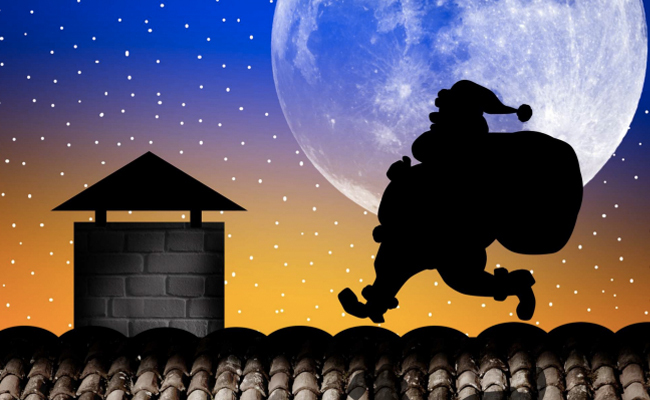 For years he was a protector of citizens in trouble and was known for dropping bags of gifts down chimneys to families in need. One time the gifts landed in stockings drying by the fire. Over time, St. Nick began to grow lonely and weary of the seriousness of his task. He wanted to spread more joy, and playfulness even, to lighten his kindred’s journey. As a very wise woman, I had an answer. I sent Solstice to Father Time, another of God’s Earthly Angels, to ask for a favor to help our St. Nick—Santa Claus as he is now known to you modern children—to have special powers to visit all the children of the world each year. 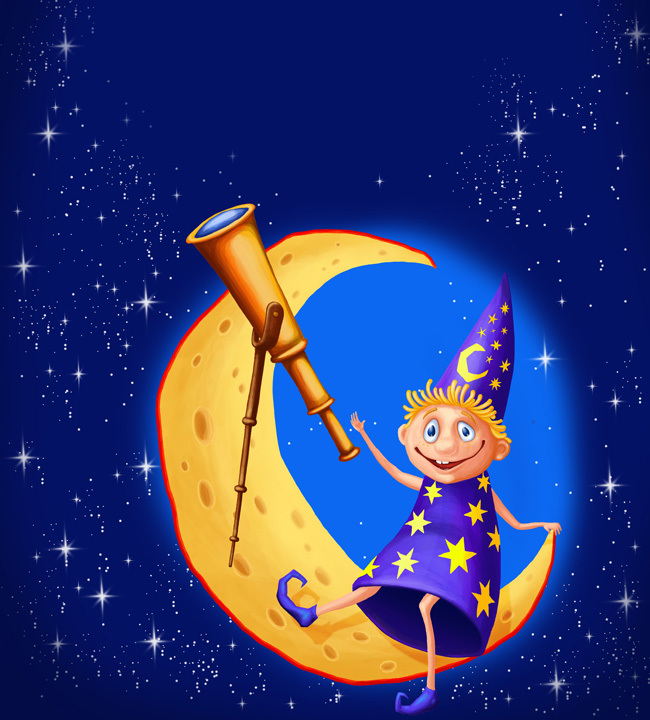 We needed some magic to bend time and space to help the dear old man with this mission. 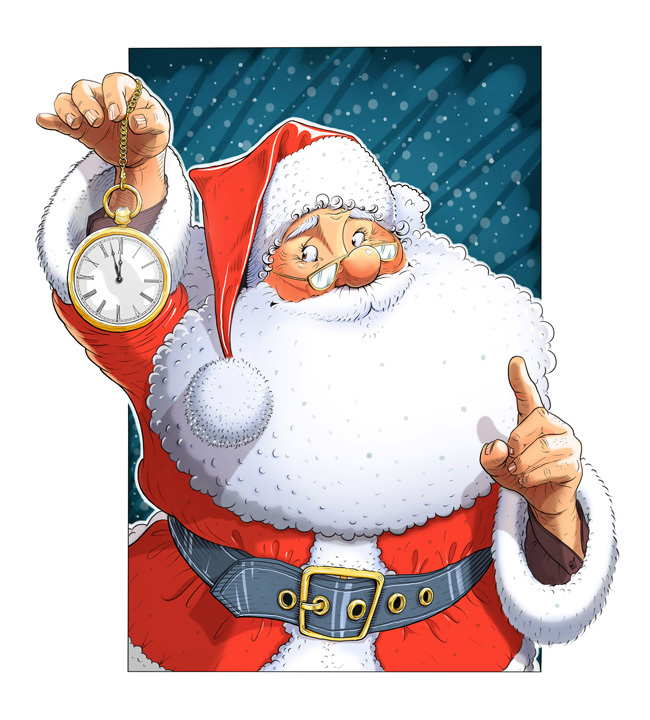 Father Time sent back a special pocket watch that would gift its owner with the ability to suspend time so Santa could build toys and deliver them to all children one day each year. And we found him a quiet home on the top of the planet where he could prepare his gifts in peace under the guiding light of a star filled sky. Dear old St. Nick gladly gave up his priestly robes for the humble suit of a common man, although, as a woman of good taste, I had to give the suit a little style and turned it bright red. We put out a call for elves and woodland animals to help Santa and many answered as Earth is their home, too, and they want to make it a truly happy place. 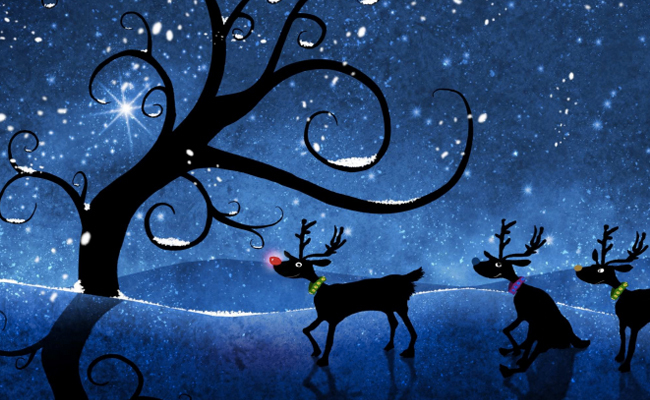 Solstice gave the magic of flight to a group of reindeer with a sprinkle of star dust. Many elves volunteered to become makers of fine toys. 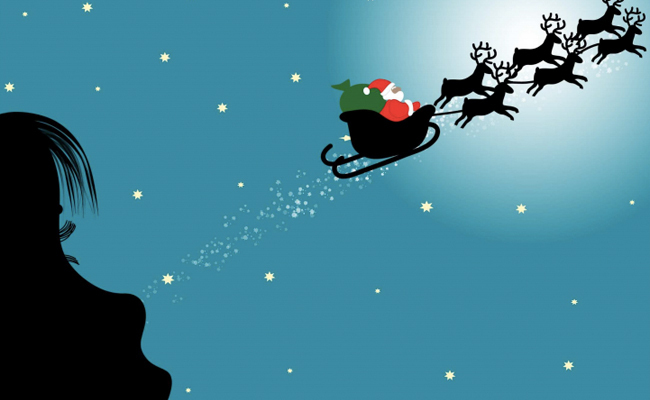 And with the magic of the golden pocket watch, Santa would have the time to fly with his reindeer to the homes of all good children continuing his tradition of delivering toys down the chimney. In honor of Jesus, we decided that the gifts would be delivered on the day we celebrate his birth—what has come today to be called Christmas. Now being a Santa is very hard work and St. Nick was old to begin with. So many years later when he came and asked that we find another to take his place, my elves had just the person. 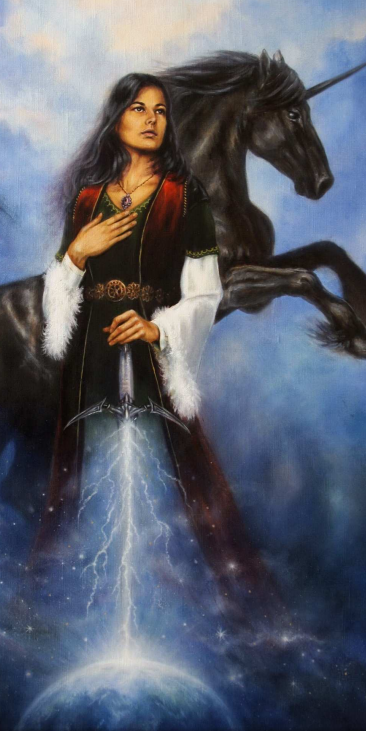 A woman of great character in Ireland, Brigit of Kildare, was another human with a twinkle in her eye and a brave heart. She founded a monastery, which became a great center for knowledge and art in a time that had too little of both. More importantly, she used her skills to help heal the sick and feed the poor. . She was a woman ahead of her time and did we ever have just the right new project for her. The elves convinced her to be the next Santa—and as St. Nick handed Brigit the golden pocket watch, he could no longer hear the whispers of his reindeer. Brigit took their reins, donned the red suit, and her hair turned long and white, thusly becoming the new Santa. Our blessed Brigit continued the tradition of delighting children for years to come. And so it goes. One Santa turns the golden watch over to another and decades after decades, century after century, the custom lives on. The beautiful people who become Santas come from all races and genders of this planet needing only to have shown an extraordinary desire to give and love like Jesus. My elves are always on the lookout for these very saintly creatures who take their turn at the North Pole, crafting gifts with the elves and delivering them to expectant children on Christmas day. And, by jolly, they all just love the red suit! And Santa is just one of many humans appointed to be part of the Guardian team. We recruit special people who have shown a true love and devotion to goodness to assist us in all sorts of ways. The Easter Bunny, a story for another day, has been a dear friend to all Santas. And brave witches lead the charge on Halloween night, when we bring our imagination to life, dress as goblins and gremlins to roam about the streets, thumbing our noses at perfect behavior and silly rules. At first, it seems to you, sweet little children, that Christmas is a time to receive the magic of Santa’s gifts. 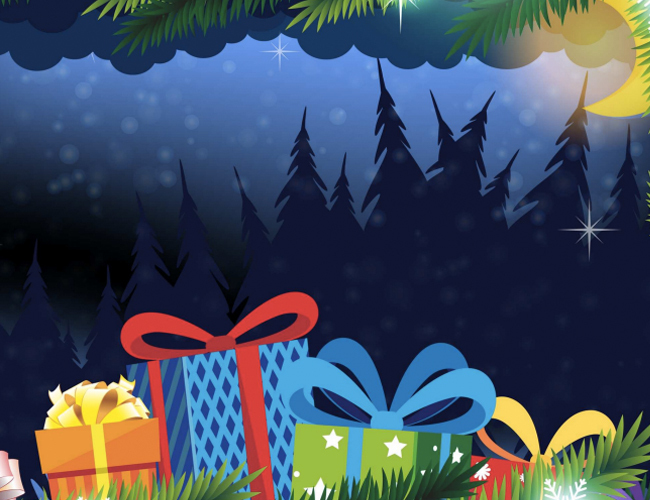 One day soon, you will no longer need a present from Santa to make your Christmas bright. You will instead look forward to giving gifts to your loved ones and people in need near and far. Like Jesus, you will think to give love and compassion to those you pass by. When that day comes, the Spirit of Christmas will begin to live in your heart all year long. And my job will be easy as our planet will be safer for all creatures. Just like Jesus came into the darkness, we celebrate Christmas during the darkest of days when we are reminded that the most powerful light is the one that shines from our hearts. If you do nothing else during your own dark days, remember that Jesus loves you. You can always find his guiding light in your hearts. Let that light show as you decorate your home for the holidays—deck the halls, as they sing, with a beautiful tree to celebrate nature and festive ornaments that sparkle like the cosmos. And let that light guide you each and every day. So as I finish my story, I would like you to remember a few things about the importance of Christmas. Live by the Golden Rule, create a life worthy of becoming a Santa, and your journey here on Earth will be filled with joy. I have so much faith in the children of today I just know that one day soon we will all know Peace on Earth. Watch for me and Solstice flying with Santa Claus this Christmas Eve. Watch for Jesus in your hearts then and always. Nurture the Spirit of Christmas in your soul and keep it near all year. Joy to the World, my darlings, this Christmas and always. And as the carols proclaim: let every heart prepare Him room and heaven and nature sing. I would like to thank the following authors and friends who inspired this story: Bruce David Forbes for his amazing book called Christmas: A Candid History; Reza Aslan for his fascinating book called Zealot: the Life and Times of Jesus of Nazareth; Stacy Schiff’s op ed piece in the New York Times on October 24, 2015 titled First, Kill the Witches. Then Celebrate Them; and my family and dear friends who shared their favorite teachings of Jesus (in no particular order): Cynthia Bergstedt, Debra Culberson, Sarah Moore, Mary Beth Donahue, Michele Turk, Gayle Appleby, Annie Perlick, Graeme Seabrook, Robin Courtney, Mariah Warren, Sally Mitchell, Lydia Mezey, Amber Koter Puline, Chris Harper, Melissa Davis, and Shannon Hennig.